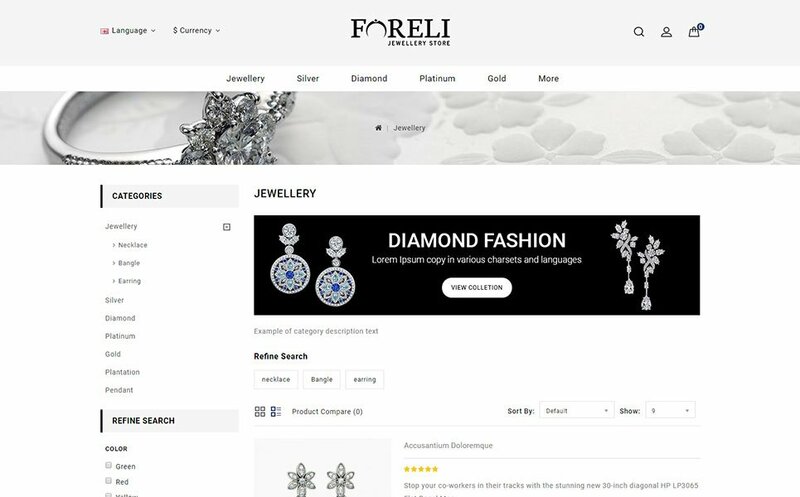 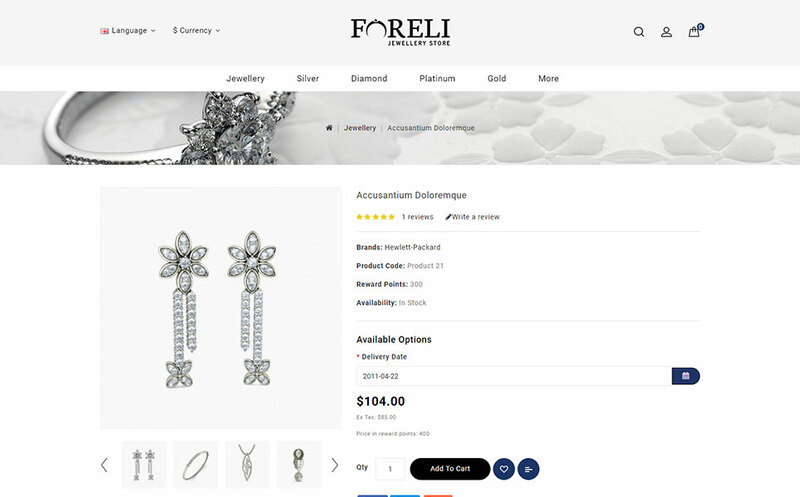 Foreli jewelry store opencart template is specilay design for Jewelry, Diamond, Fashion, Accessories, Bags, Gifts and multi purpose stores. 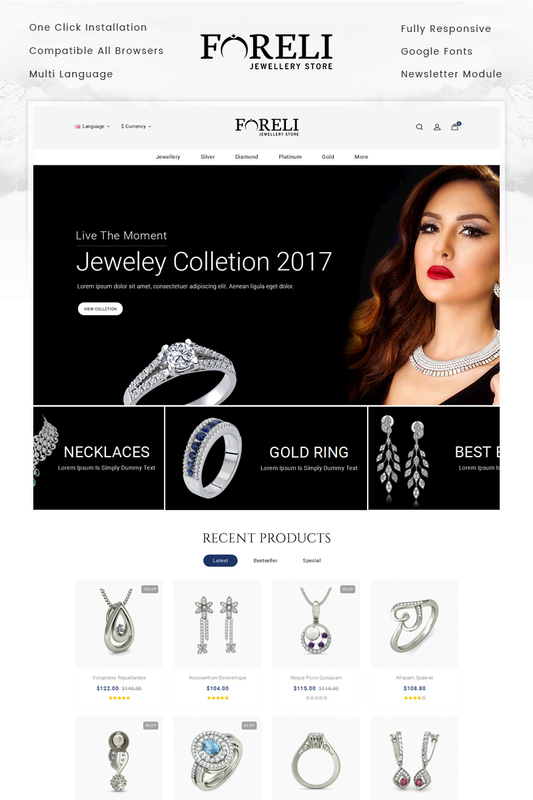 This Theme is unique for jewelry store and it looks good with color combination. 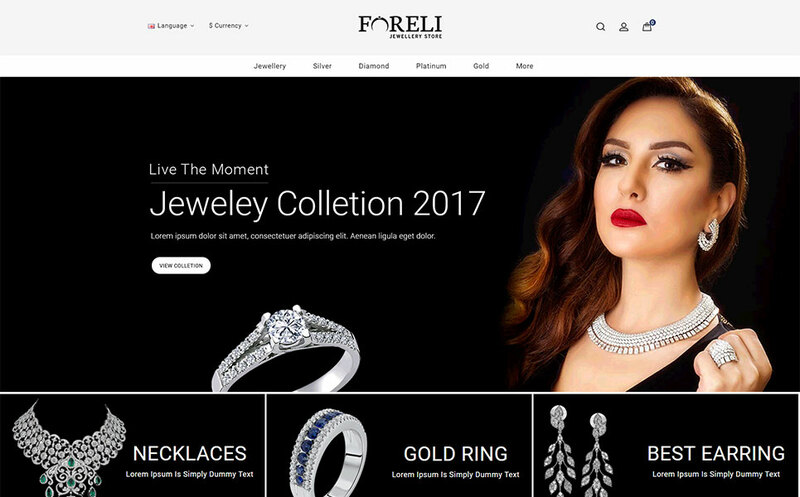 This theme is 100% responsive that means this theme display properly like application in mobile browser.